OLD PARKED CARS. 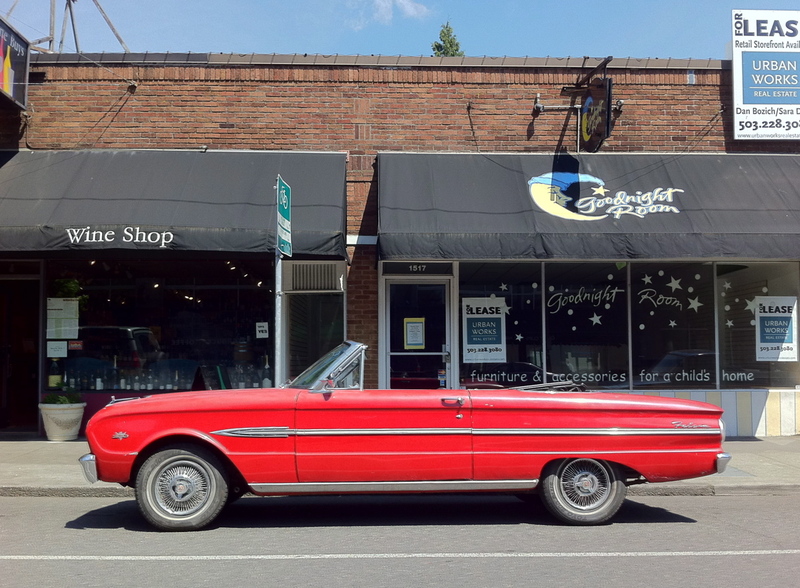 : 1963 Ford Falcon Futura Convertible. 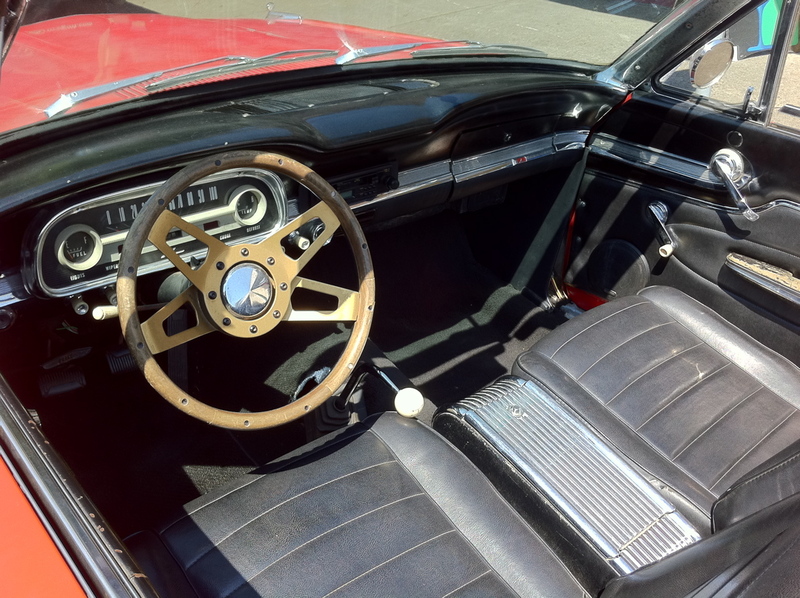 Wow, that steering wheel and interior is so inviting. I never would have guessed from the outside. 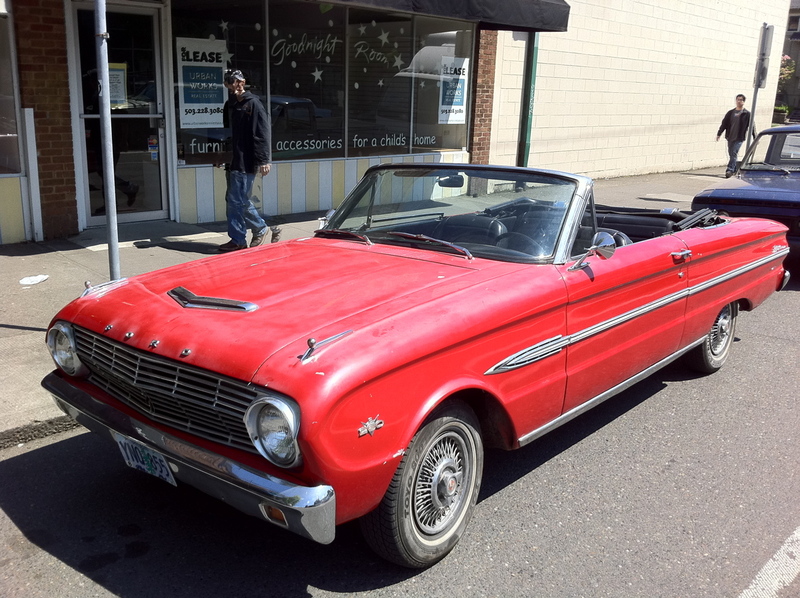 Oh and it's a stick, would be sweet to have a fun cheap little convertible like this to cruise around in without anxiety. 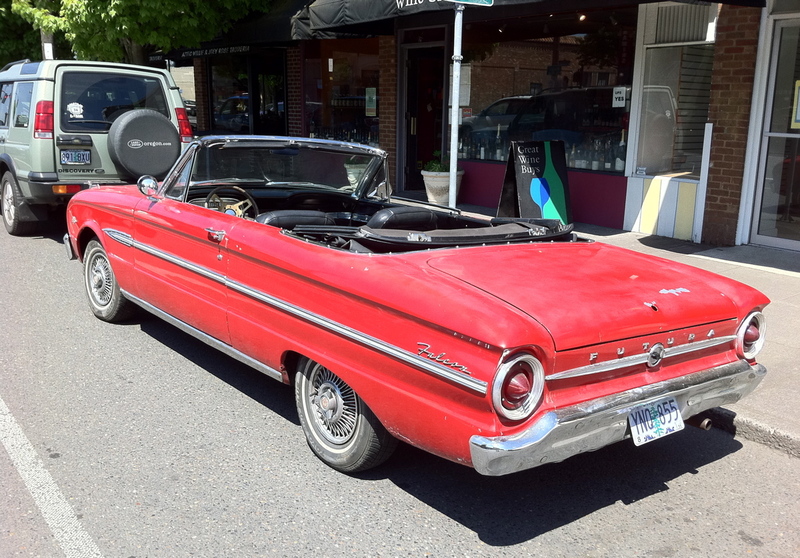 Hop in and cruise off listening to the Beach Boys.....hehe.